Cunningham has taken risks, attempting to paint Rilke in the poet’s own words and style, and he has succeeded in producing an offbeat and absorbing literary work. Spanning western Europe from 1875 to 1917 and presenting a gothic historical Paris that subverts our old assumptions regarding the City of Light, M. Allen Cunningham’s new novel brings a brooding atmosphere and human complexity to an intimate and imaginative portrait of one of the most uniquely sensitive artists of his time, a poet whose odd childhood and difficult early life will both fascinate and perhaps help explain his determination to stay true to his artistic vision at almost any cost. Here is Rainer Maria Rilke in the grip of his greatest artistic struggle: life itself. Rilke’s gripping emotional drama as child, lover, husband, father, protégé, misfit soldier, and wanderer is framed by a haunted young figure, a researcher who, a century later, feels compelled to trace Rilke’s itinerant footsteps and those of Rilke’s fictional alter ego, the bewitched poet Malte Laurids Brigge. The result is an exploration of the forever imperfect loyalties we face in work and life, the seemingly immeasurable distances that can separate life and art, and the generational tensions between masters and admirers. wake to her hands upon you. Morning, and so you have slept a sleep like another life altogether. Lou sits on the bed at your side, hips at rest in the curve of your prone body. Her soft sleepwarm fingers trace the rim of your ear. She still wears last night’s clothing. The dawn glow is yet soft and nonreflective: glow that gathers, grips things in its silence. The closed shutters behind her hold the light in serried threads. You fold down the blankets and sit up. You’ve slept in your clothes too. Your whole body bristles with a cool sensation that seems to originate in the small of your back or in your loins: hipbones buttressing some abdominal gleam. And Lou is here. Still here. She takes you into the garden. A vast silence opalescent in the pre-dawn, everything grayed in a gray mountain-breath. Dark leaf-luster and hush of soil. Within the hour will come the liturgy of color. You stand beside her, you and she barefoot on the dewy earth. It seems you’re waist-deep in a still pool. Lou’s voice riffles the stillness. She clutches her skirts and trots ahead along the garden path. You move after her. Watching the tender rails of her ankles as they tauten at every step, relax, tauten. The mossy earth sends a shock of pleasure through your naked soles as you go. It’s an expansive garden, bleeding fenceless onto the forested hill behind the cottage. The morning light, yet bedded in the soil, rushes upward through your feet and it seems the day’s dawning begins in your very limbs. The light slowly suffusing the garden is but delayed evincement of that glow within. Now and then Lou stops and stands still, raises a listening hand, attends to the convening birdcalls. You feel your ears opening like flowers to that sunlight of wavering sound. 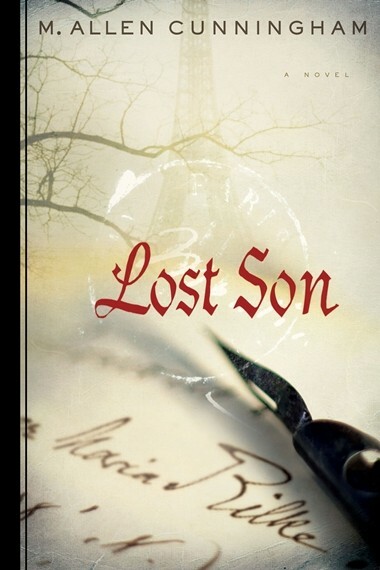 M. Allen Cunningham is also the author of the novel Lost Son. His short fiction has also appeared in a number of literary magazines, including Glimmer Train, Boulevard, and Epoch. He grew up in California, living for nearly two decades in the Diablo Valley north of San Francisco, and now resides with his wife in Portland, Oregon. Author photo by Katie Cunningham.